Onstage or in the studio, you need a mic stand you can rely on. 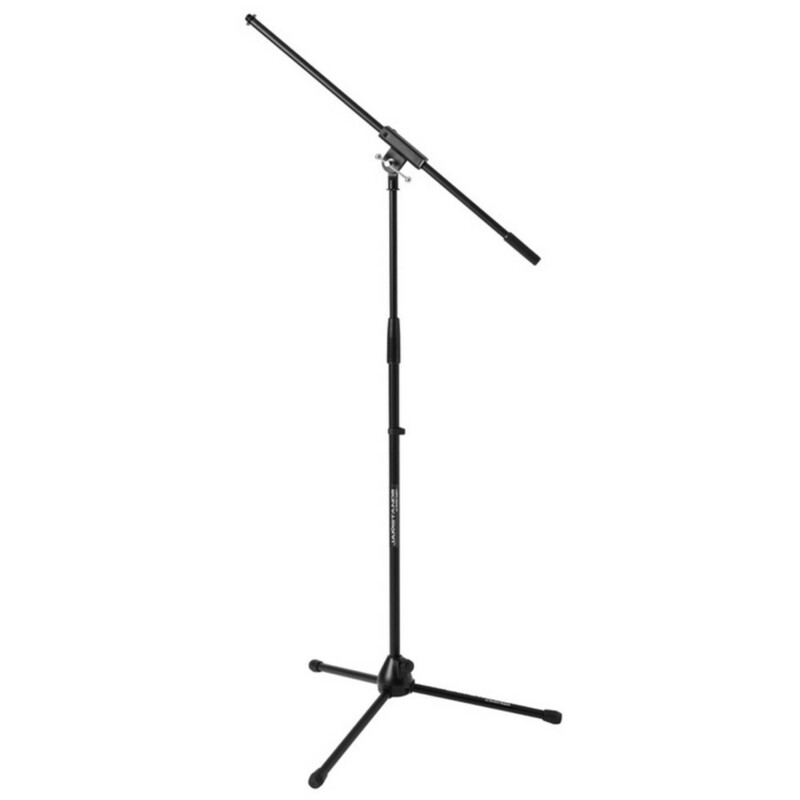 The Tripod Mic Stand with Fixed-Length Boom resists tipping and is built tough to withstand every-day use. The powder-coated finish is scratch resistant to maintain its appearance, even on the most rigorous tour or recording schedules. Easily adjust the Tripod Mic Stand with Fixed-Length Boom to perfect height with the traditional turn clutch. Height adjustable from 39" - 66.5"